Instrument: 11-key, German Silver Keys and Rings, wood is likely Madagascar Rosewood??? Notes: Meyer was a fine maker utilizing many different styles of flute. He was know best and is still, because of the incredible number of “nach Meyer” flutes that were produced in Europe and even the United States, well into the 20th Century. These “nach Meyer” flutes were basically copies of the type of flute seen here. Other than the modern Boehm flute the nach Meyer flute must be the most popular model of flute ever made. While the nach Meyer flutes vary greatly in quality, from really cheap, fairly worthless flutes, to examples basically on the same level as Meyer’s own flutes. One can find many examples on eBay at any particular time. I would warn that most of these are at best marginal instruments. Meyer flutes were famous for the fine quality of their manufacture and their “mellow” sound. They are fairly loud instruments as one would expect from Germany by this time. 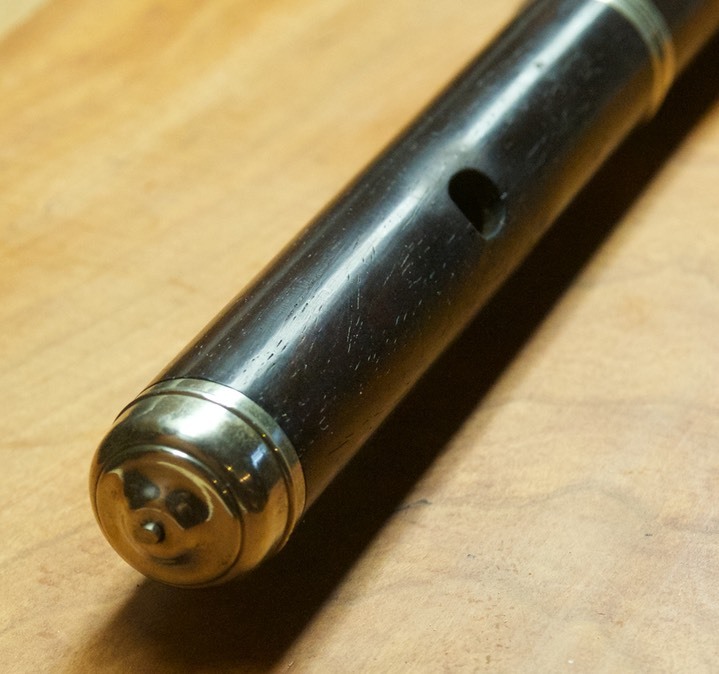 One of the most recognizable features of his flutes are the slanted G# key. Although he did not invent this he was certainly responsible for popularizing it. Most of his flutes of this type, as with the nach Meyer flutes were produced with ivory head joints which almost always cracked. 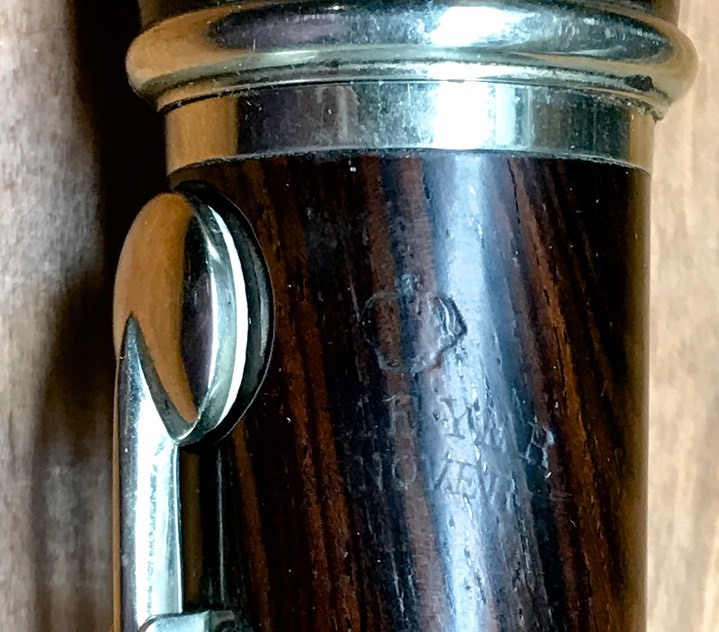 This example has an original wooden head joint in quite nice condition. This is an 11-key model, 8-11 keys being most common. The keys are the normal 8 plus the high e to d trill, low b, and RH-b-flat. Note the mounting of the keys. Posts mounted on plates and attached always with 3 screws. 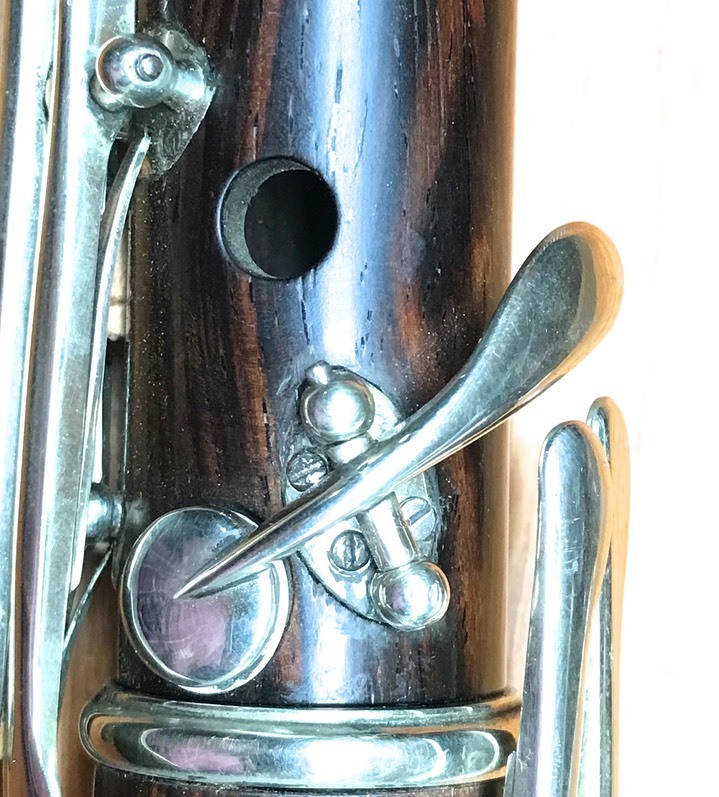 The design of the embouchure hole is distinctly German with its slightly rounded square shape first made popular in Vienna. This example uses a very beautiful type of wood, not the usual cocus, I believe.